I believe in living free of toxic chemicals. I think the chemicals in our food, cosmetics, household products and even our medicines are making us sick with disease and causing premature puberty. I am making progress towards eliminating them from my home, one product at a time. I’m going back to the basics of home products, making my own, which is not only healthier, but cheaper! For the things I don’t want to make I use Young Living products. I am also now using essential oils instead of OTC medicine as often as possible. EO’s can help with head pain to tummy troubles and more. They can even provide emotional balance (can you say raging hormones?). I am on a learning journey, want to join me? So far, I am loving the results of what I’ve used for myself and my entire family. I researched many oil companies and decided on Young Living. YL started with a passion to change the health of families around the world and with the largest selection of oils and supplements they are succeeding. I feel that YL has the highest level of integrity during the production of their oils because of their high standards through every process of the planting (hand weeded-no pesticide farming) to the distillation process (1st distillation-not 2nd, 3rd, or complete). They require sanitary state-of-the-art distilleries and have rigorous in-house and 3rd party testing beyond what is required. If a batch doesn’t meet a certain standard it is sold to another company. If a crop fails then that oil goes out of stock! No diluting, no added synthetics. The essential oil is a very potent aspect of the plant, from either the flower, stem, leaf or root and has many properties that work to bring balance back to our bodies. Plant medicine has been used for thousands of years, and they have provided both food and healing properties to humankind throughout history. They are mentioned over 600 times in the Bible alone! EO’s work to support our body systems. I use oils for my family of 7 as needed and as ongoing support. 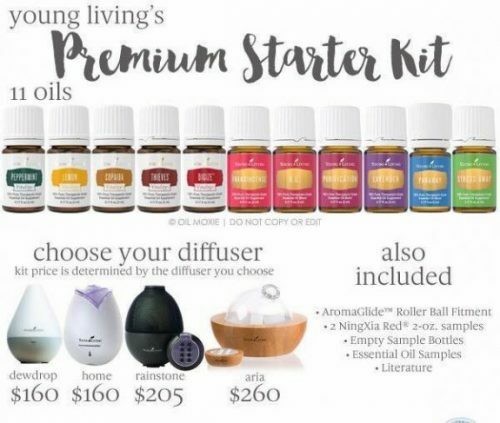 The oils listed below come in the starter kit and are just a few of the ones YL distills. 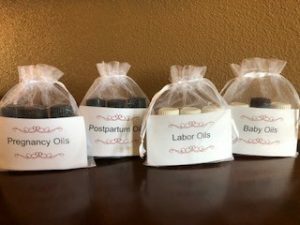 How can oils help during Pregnancy, Labor and Postpartum? First let me say, you should always speak to your care provider about using essential oils while pregnant and in labor. YL oils are very concentrated and a tiny bit goes a long way. I would always recommend diluting the oil with a carrier oil (like coconut) to be sure it isn’t too strong during this delicate time. If you haven’t used oils before getting pregnant, than start slowly and gently with diffusing them. Then you can move to using them topically. With that being said, I absolutely think oils can be helpful with pregnancy and postpartum discomforts and during labor. There are many oils that are safe during this time and with the proper research and recommendations, you can feel confident addressing common pregnancy symptoms like sleeping better being more relaxed in labor and sometimes a quicker labor. I have researched safe oil usage from various resources, some from YL, but most from other sources. I think it’s important to get a variety of information from certified aromatherapists. I now use this knowledge to teach classes in Glendora and on-line, so oil users are being safe, especially during this time. Please contact me, if interested. If my clients are interested in essential oils, they decide their level of use during labor or postpartum. Any of my recommendations are based on the client’s comfort level and knowledge. After much research, I came up with specific oil blends for use during this delicate time. If you prefer to order premade sets I have them available. All 4 sets are $60, plus shipping. Contact me to order. As I help others to start using EO’s I take on the responsibility to educate you, especially when it comes to using them around babies. I want you to experience the amazing benefits, but be well informed about how and why you should be cautious or avoid certain oils. The best deal for oils is the Premium Starter Kit. It is 50% off and includes all the basic oils you need to get started on your journey. It even includes a beautiful, multifunctional diffuser! When you order a kit you become a preferred member, otherwise, you are a retail customer. You can contact me with any questions you have, but if you are ready to join my amazing supportive group, just click the link below.